We are pleased to welcome our guest speaker from the UK, Matt Ward. 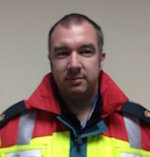 Matt is lead paramedic for emergency care for West Midlands Ambulance Service, and one of the directors of the West Midlands CARE team. 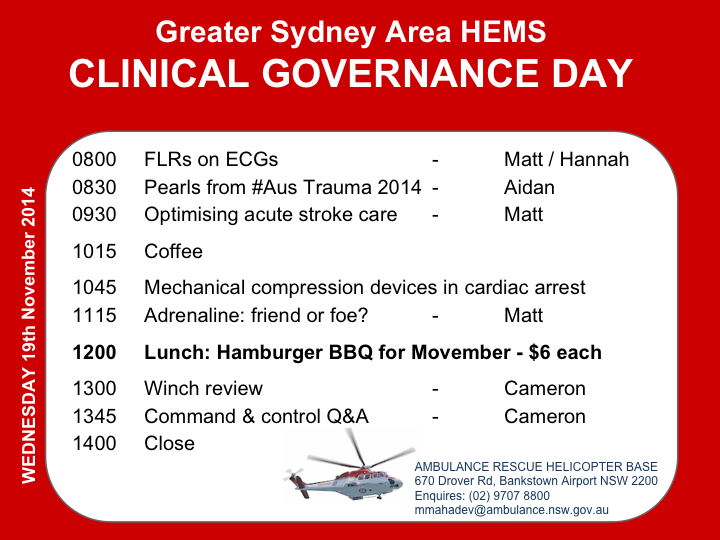 He’ll be sharing clinical and research experience in the management of stroke and cardiac arrest. For lunch we will be joining the crews down in the hangar for a hamburger BBQ in aid of Movember; please bring $6 if you wish to join in with this. Please note the usual free sandwiches will not be provided on this occasion.